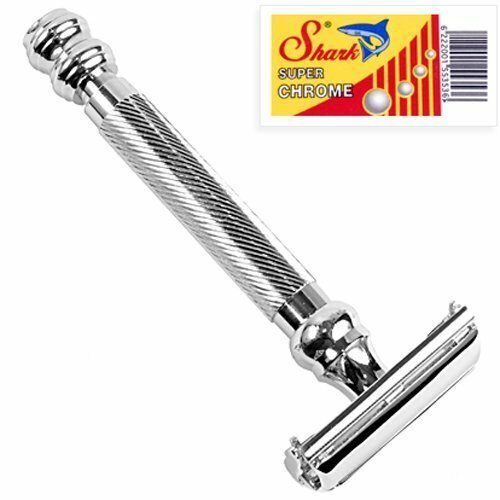 Chrome plated brass frame for durability. Twist-to-Open (“Butterfly Open”) design for easy blade . 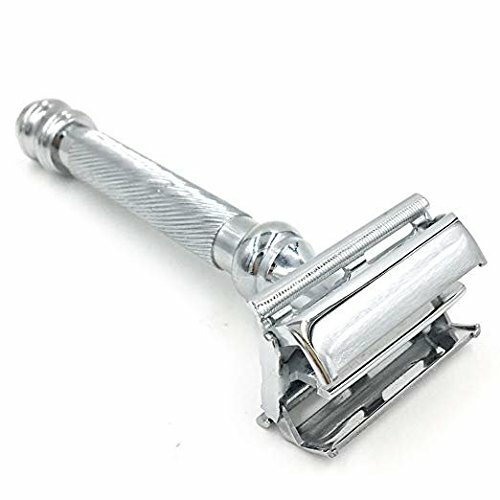 4 inch long textured handle for a sure grip – even with wet hands. 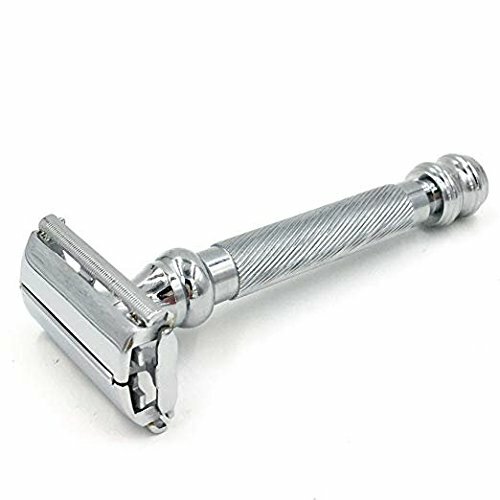 3.4 oz – heavyweight design an actual Parker Safety Razor product. 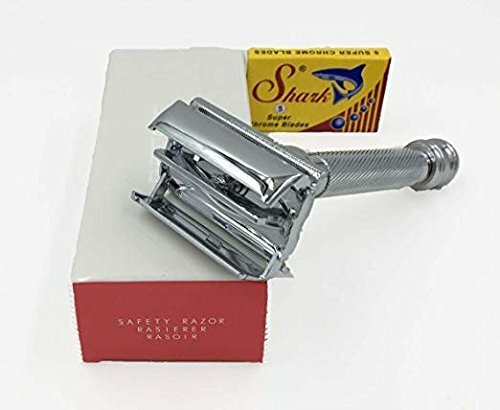 for over 40 years, Parker’s safety razors have been imitated, but never duplicated.